Team Aero is your aviation resource. With more than 75 years combined experience in the business jet market, our friendly staff can assist with in stock part sales and repair management services. In addition to our knowledgeable sales staff we also employ both A&P mechanics as well as commercial pilots. We are active members of NBAA, NATA, AOPA and our extensive inventory can be found in ILS, Partsbase and other online resources. If you are looking for competitively priced, quality aircraft parts, our team is ready to go above and beyond for you. Our 30,000 square foot state-of-the-art facility houses more than 100,000 parts from most major aircraft manufacturers. All parts are professionally cleaned, organized and inventoried in a climate controlled environment. We can easily provide a quote for overhauled, serviceable and as removed parts with traceability and an unprecedented guarantee. 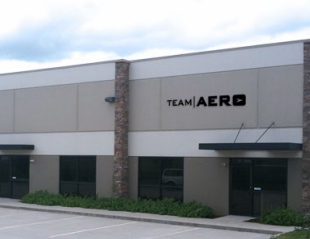 At Team Aero, you’ll enjoy a stress- and worry-free experience. Because, as the preferred resource in the aviation industry, it’s our job to make it easy for you to find the parts you need. Are you ready? Let’s fly.